The government has asked state-owned Oil and Natural Gas Corporation (ONGC) and Oil India Ltd (OIL) to sell out 66 of their small oil and gas fields to private firms as it brought in a new policy to boost domestic production and cut imports, Petroleum Minister Dharmendra Pradhan said Thursday. To quickly bring all sedimentary basins under oil and gas exploration, the government dumped a two-year-old model of bidding out acreage or blocks to firms offering highest share of revenue, and brought in a new system of bidding them out on the basis of work programme such as drilling of wells and shooting of seismic with the winner's only liability being payment of statutory duties like royalty and cess, he told reporters here. ONGC and OIL, who are battling stagnation in output from largely ageing fields, have a total of 184 fields. The national oil companies have been asked to provide enhanced production profile for 66 of these fields, which contribute 95 per cent of the 36 million tonne of annual oil production in the country, and given freedom to induct private and foreign partners or technology providers. They have been allowed to retain another 52 fields (49 by ONGC and 3 by OIL) where enhanced oil recovery or improved oil recovery programmes are already under implementation and they were put on production in the last four years. For the remaining 66 fields (64 belonging to ONGC and 2 to OIL), which currently contribute about 5 per cent of total output, will be bid out or privatised with revenue share going to the two firms. Giving details of the decisions taken by the Cabinet earlier this week, Pradhan said companies will be given pricing and marketing freedom for yet-to-be-developed discoveries and will levy a lesser royalty in case of state-owned firms raising production from existing fields. Marketing and pricing freedom will be given to those new gas discoveries whose field development plan (FDP) or investment proposal is yet to be approved. This would apply to both state producers like ONGC and private ones like Reliance. ONGC is sitting on two dozen discoveries which it had not been able to produce because of the current government-mandated price being less than the cost of production. Reliance also has discoveries in east coast block NEC-25 where it can produce after the new freedom. 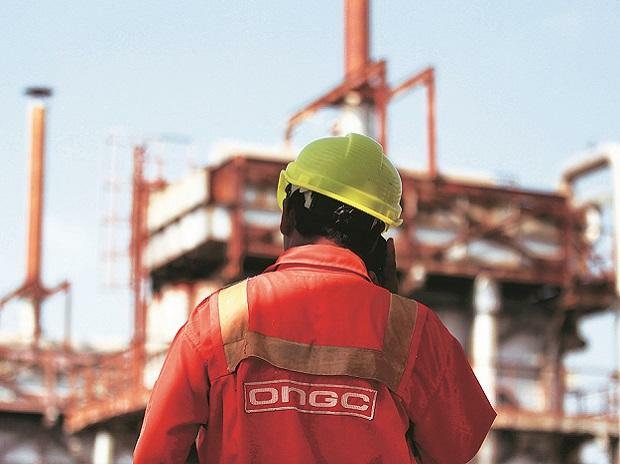 An incentive to produce additional gas from APM or nomination fields of state-owned firms like ONGC and OIL will be given in form of royalty reduction at the rate of 10 per cent on additional production over and above business as usual (BAU) scenario, which will be approved by the upstream regulator, DGH. Pradhan said the alongside, the government has decided to award future exploration acreage based on exploration work commitment, which will replace a two-year-old method of awarding them to companies offering the highest revenue share to the government. Exploration blocks in Category-I basins, where commercial production of hydrocarbon has already been established, will be bid out on the basis of a mix of work commitment and revenue share in the ratio of 70:30, he said. Exploration blocks in Category II and III basins will be awarded purely based on the exploration work programme, he said adding winning company's only liability would be to pay royalty and cess and there would be no profit share. "There will be no revenue or production sharing in these contracts but the government will get a share in case of windfall gains," he said adding that the trigger for such a sharing has been fixed at USD 2.5 billion in a financial year from the block. Pradhan said the focus of the new policy is to raise output from the existing fields and bring newer areas under production quickly. "Revenue or profit is no longer the priority. Production will be," he said. "Fiscal incentive is being given for early monetisation of discoveries." National oil companies (NOCs) have been given freedom to bid out fields and induct technology partners. "Bidding process will be decided by the NOCs," he said adding the process is expected to be completed in four months. The BJP-led NDA government had two years ago moved from production-sharing contracts, where acreage for exploration of oil and gas was allocated to firms offering the largest work programmes (such as carrying out seismic survey and drilling of wells), to revenue sharing contracts, where the firm offering highest revenue to the government was given the blocks.